Flying monkeys are quite terrifying if you ask us. They are a creepy color (monkeys aren't supposed to be blue, are they? ), they wear oddly stylish hats, and they are ready to strike terror in the heart of anyone who approaches them. But if you can't be them, join them, right? When the Wicked Witch of the West needed to have an army there's nothing better than having one created exclusively of flying monkeys. Why are they so great? Because no matter who you are; a person, a scarecrow, a tin man, or a lion, they strike fear into everyone. 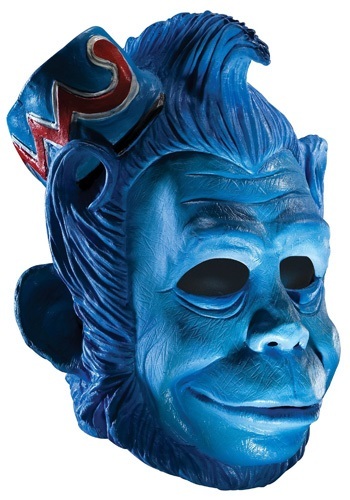 Now you can scare everyone in the land of Oz when you wear this great flying monkey mask.